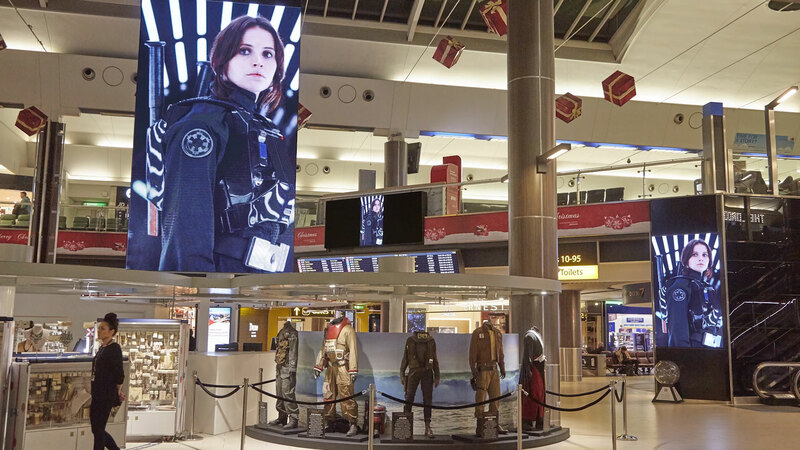 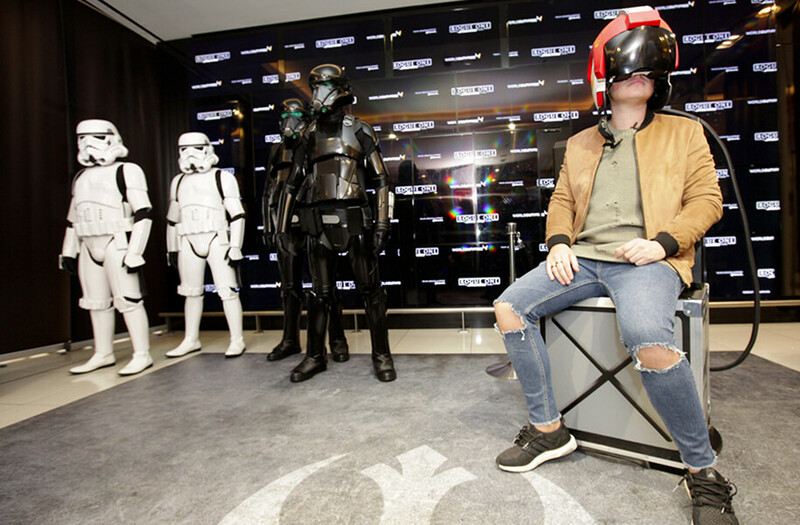 In a European first, we collaborated with Disney to launch a six-week-long experiential activation to bring the experience of Rogue One: A Star Wars Story to Gatwick and World Duty Free customers – ahead of the Dec 15 release of Lucasfilm’s first-ever standalone Star Wars film. 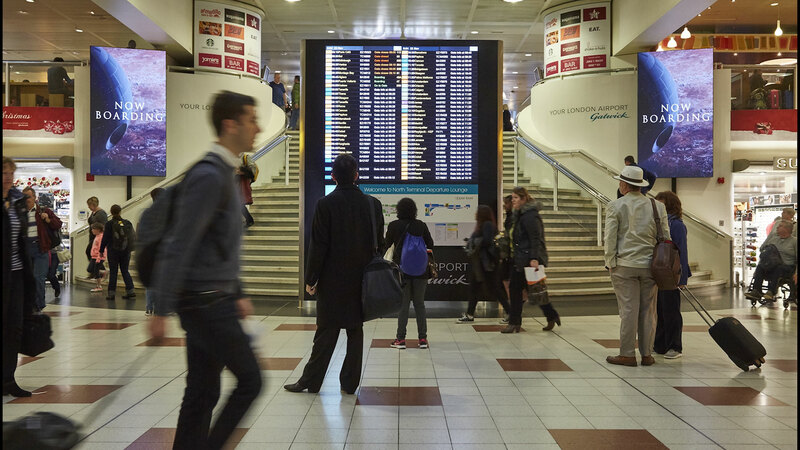 Targeting the passenger at every touch point on their journey – from car park to departure lounge and World Duty Free store – the experience is an ultimate example of end-to-end marketing. 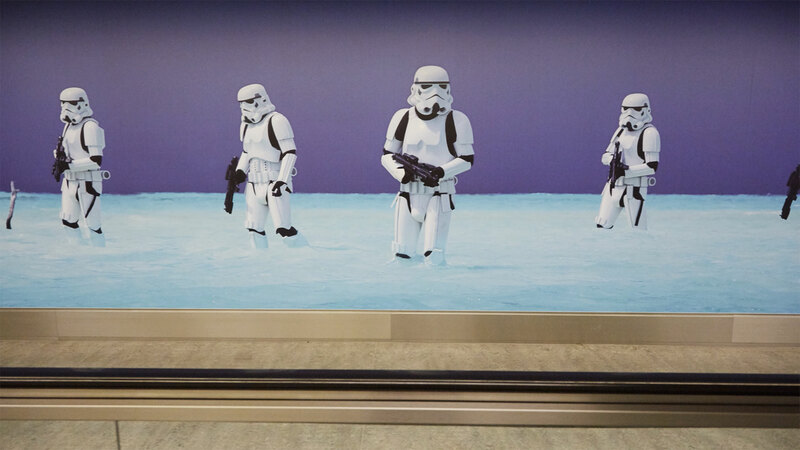 Walkways from main car parks feature floor-to-ceiling graphics from the new film and give a taste of what’s to come in the main terminal buildings through digital, print and in-store media. 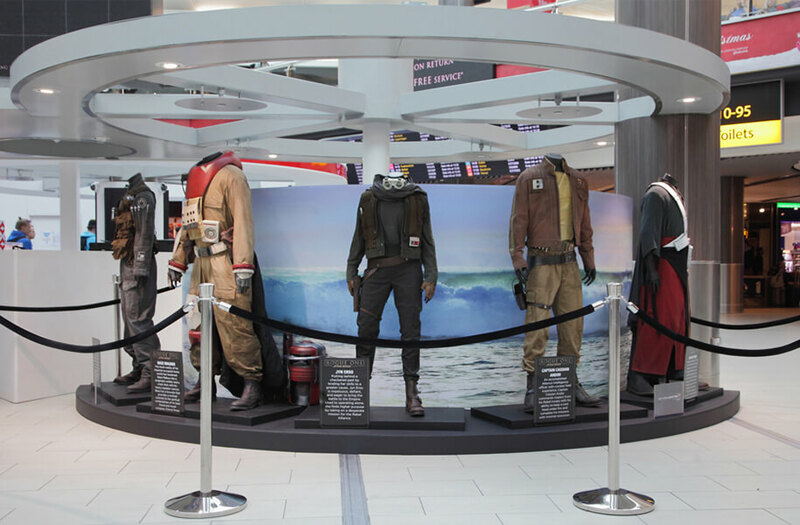 5.3 million passengers are expected to visit the airport and the stores to experience this spectacular customer journey and retail event that is out of this world!